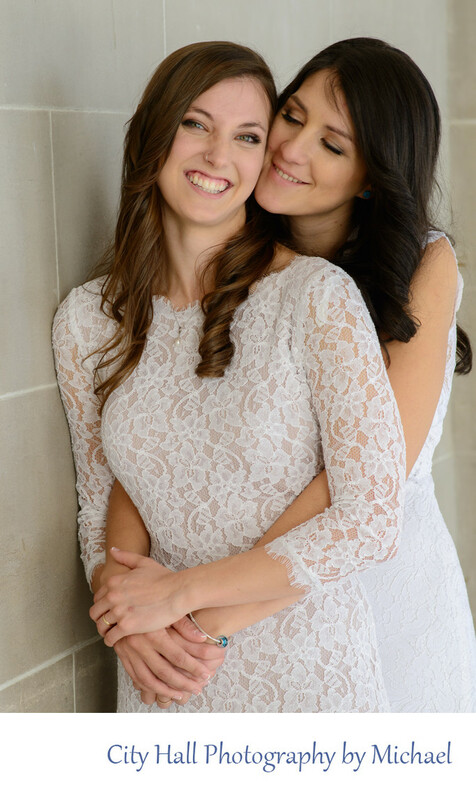 Here are 2 of the most beautiful brides you will ever see. How fun to have double beauty at one single wedding. As many know by now, San Francisco City Hall became world famous as one of the first places to allow Gay Weddings. At the time, they were actually Illegal by state law, but the mayor of San Francisco decided to move forward with them anyway. There was huge rush for people in the LGBT community to obtain legal marriages. City Hall became a wild place in those days. Well now, here it is, a decade later and gay marriage is common place and socially accepted. This gorgeous couple was a delight to work with and could not have been more fun. Easily one of our favorite weddings ever!